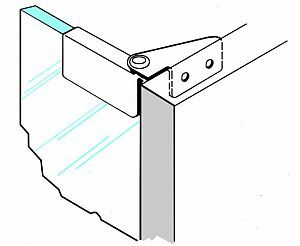 Pivot type inset glass door hinge. 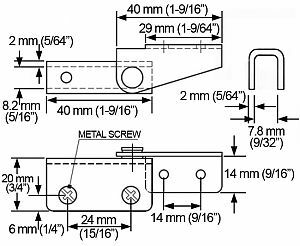 For glass thickness of 3/16" - 1/4" (4-6mm). 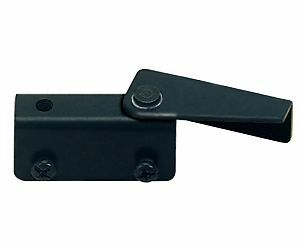 Set includes metal hinges, spacer plates and screws.